United Shoe Machinery Corporation, 1913. 4to Spine bound in black cloth with red string-tied wrappers, color cover, color frontis plan of factory and grounds in Beverly, 4 pp. of text by Louis A. Coolidge, Treasurer of the USM, (reprinted from the Boston Transcript newspaper, October 22, 1913) 23 full page photos, 4 double-page photos, 2 triple-page photos, all of employees participating in company-sponsored recreational and sporting events. Wonderful, large and framable photos;\; trap shooting, tennis, baseball, cricket, boat fleet of the employees, athletic activities, girls fancy work display's, etc... Please email for photos to see. 50 pp.. Only. Bagged & Boarded for Posterity. Audels Mason's and Builder's Guide. Set of 4 (Four) Books. A near fine set of all 4 books in original black pebble cloth. 1950 printing. .
Painting and Decorating Working Methods a Text Book for the Apprentice, Journeyman Housepainter Decorator. NYC: Theo Audel, 1922 294 pages + book ads. This printing had 20 (actual) color paint samples in the front, 1 is missing. Interesting. Second Edition, 1944. Good with moderate wear and old staining. . Second Edition. Hard Cover. Good. Softcover About Fine Condition in original string-tied stiff wrappers, also includes: 'Efficiency through Hygiene' another period pamphlet original printing in string-tied wraps, also in fine condition... as well as a folded leaflett addressed to librarians outlining the 2 booklets. 50 & 18pp, B & W photographic illus., 8 1/4" x 9 3/4" . Bagged & Boarded for Posterity. Silk Throwing ( Hand Books of the Textile Industry Vol. 3 ) - Giving the most complete data ever published on the various processes raw silk is subjected to when converting it into yarn . Philadelphia 204 illustrated pages + app. 40 pages of period ads for companies mostly in the NY & NJ areas. Small ownr=er stamp to the title page, else near fine in the original black cloth. .
Newshaper - Souvenir of the Fellows Gear-Shaper Company. Unique Bound Magazine Collection, 1943 - 1946, Complete. Newshaper - Souvenir of the Fellows Gear-Shaper Company. Unique Bound Magazine Collection, 1943 - 1946, Complete. This is a unique collection of all of the magazines published from Vol. 1, No. 1 December, 1943 through Vol. 4, No. 4, April, 1946. It also includes several other published itams (The Involute Gear and others) as well as several other pieces of paper ephemera pertaining to this company. Bound for Edson J. Berry, likely a long-time employee. Very unusual in binders green cloth with an old stain to the spine, else near fine. .
1960 Newcomen Society. First printing, 1960. Book Condition: about fine. 28 illustrated pages.. First. Bagged for Posterity. What Portables Do - Ingersoll - Rand Company, 1931. Oblong color illustrated wrappers. 32 pages with illustrations and textural descriptions throughout. Ilso includes a dated (1931) business reply card for their priducts and a small sheet intruducing both the pamphlet and the BRC. Rear spine edge a bit worn and chipped, all else VG+ to near fine. Quite Scarce. . Illustrated Color Wraps. Oblong Small Folio (8.5"x11"). Bagged & Boarded for Posterity. 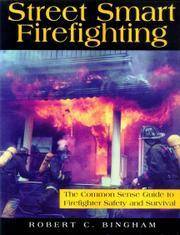 Street Smart Firefighting: The Common Sense Guide to Firefighter Safety And Survival - Fine Condition. As new with no damage, not from a library. 303 illustrated pages. . Illustrated Color Wraps. Fine, as New.. 4to - over 9¾" - 12" tall. Presswork. A Practical Handbook for the Use of Pressmen and Their Apprentices. First Edition, 1898. Inland Printer Co., Chicago, 1898. Later printing of 1894 first edition. A compilation of papers prepared for the Inland Printer, revised and enlarged. Kelly was the superintendent of the Web Color Printing Department of the New York World. With frontispiece portrait of Kelly. Near Fine. Original brown cloth bound with gilt titles..
Lackawanna Steel Company 1909 - Open Hearth and Bessemer Steel Products. Billets, Blooms and Slabs, Rails, Joints, Plates, Etc. Buffalo, New York, U.S.A., 1909 133 pp, binding poor, contents VG.. Black Leather Hardcover. Good. Illus. by Assorted. 12mo - over 6¾" - 7¾" tall. Buffalo, New York, U.S.A., 1909 156 pages, about VG-.. Black Leather Hardcover. Good. Illus. by Assorted. 12mo - over 6¾" - 7¾" tall. Bagged for Preservation. NY: McGraw-Hill, 1917 244 pages.. First. Hard Cover. VG. 8vo - over 7¾" - 9¾". NY: John Wiley, 1885 64 pp, + 3 fold-out plates. First edition, later printing. The first was in 1876.. VG. The Phoenix Iron Company Publisher: General Offices, 1932. Black leatherette semi-stiff wraps; 228 pages, AEG.. Near Fine. Thunder Bay, ON, Canada: Thunder Bay Historical Museum Society, 1999 Publisher: Thunder Bay, ON, Canada: Thunder Bay Historical Museum Society, 1999, 1999 AF/AF 182 pages. Well illustrated with numerous historical photos. first fep missing, else fine.. Hard Cover. Archival Wrapped DJ. Orange Judd, New York, 1904. Hard Cover. Book Condition: VG. No Jacket. 5 x 7 1/4 ". Explains and illustrates some of the most practical and easily made labor-saving farm appliances. 192 illustrated pages..
Delmar Publications Titled wrappers. Delmar Publishers, 1955, 141 illustrated pages . Quite scarce, not the Second edition of 1975..
North Andover, Ma: Davis & Furber Machine Company, 1926 46 pages. Many illustrations.. Near Fine. Bagged for Preservation. Instruction Manual on the Erection, Operation Care and Adjustment of Johnson & Bassett Mules. Extra Heavy Pattern High Speed Mule and Giant Package Mule. By Johnson & Bassett, Inc. Worcester, MA. Worcester, MA. : Johnson & Bassett, Inc. Worcester, MA., 1930 Very Uncommon, 98 pages illustrated with blueprints and photos.. 1st. Titled & Illustrated Wraps. About Fine/NA. 4to - over 9¾" - 12" tall. Bagged & Boarded for Posterity.